Dr. Maryrose Caulfield here. Recently I was deciding whether to watch a certain movie. I did what so many of us do to get a background on the movie, I spoke with people who had watched it and I looked at reviews. We all want to know the focus of a movie, or a restaurant, or a hotel, etc., to have an understanding as we begin an experience. This is particularly true with students and learning. In the words of Yogi Berra, “If you don’t know where you are going, you’ll end up someplace else.” Students need to have the same focus for understanding as they begin to engage with new learning. This focus is laid out through the learning objective. Often, this is regarded by educators as a requisite part of a lesson plan but not much more. Learning objectives are NOT activities. The importance of the learning objective lies in its power to identify the specific knowledge or skill the student is expected to master. When the educator explicitly hallmarks student expectations in clear, student friendly language, the learning objective points out exactly how the instruction will be accomplished and assessed for mastery. Simply writing or copying an objective means nothing to a teacher and even less to a student. So what should an objective do? Objectives focus the purpose of your lesson and subsequent planning. 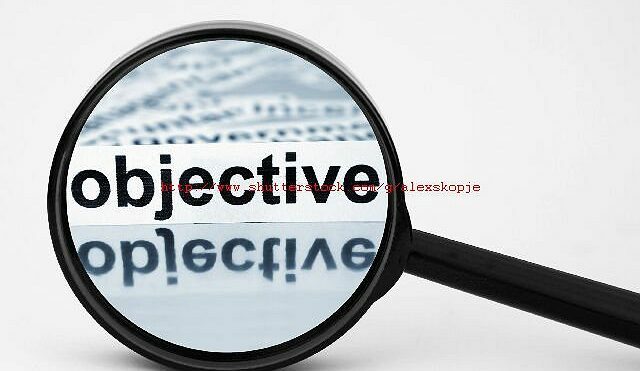 Objectives give you an outcome or goal. Objectives should be smaller and more digestible than a full standard. Objectives should help students understand the lesson purpose. Combined with success criteria, objectives should let you know when learning has happened. Objectives should set the foundation for student-led academic discussion. Teachers need to excel at explaining to students exactly either what they will need to master in understanding, or what they will be able to demonstrate at the completion of the lesson. Presented in language every student understands, every part of the instructional process flows from this. Students will be able to assess their own understanding throughout the lesson as it relates to the objective. They will be empowered to benchmark their understanding at various points throughout instruction and will be able demonstrate both areas where they are solid and where they need further clarification. Teachers will be able to refocus students by having them explain how their thinking relates back to the objective. Teachers will be further empowered to provide focused and guiding feedback to coach student understanding and mastery. Excellent learning objectives provide a guide for students when reviewing materials and preparing for assessments. Learning objectives are the most powerful if they are actionable and measurable. I will be able to describe three physical or chemical ways the brain can help me study. I will be able to write a Python program to solve a specific problem. I will be able to explain how I included sequential execution, repeated execution, and conditional execution. how I actually solved the problems. how it is used to determine the health effects that people experience when they are exposed to environmental hazards. Understand how to add three numbers Demonstrate adding three numbers using concrete objects, picture representations, and mental math to add three one-digit numbers. Understand how to support claims in writing. Demonstrate an understanding of the text by supporting a claim with evidence, and logical reasoning from accurate and credible sources. I can support my claim with strong evidence and logical reasoning. “The results from McREL’s 2010 study indicate that the strategies of setting objectives and providing feedback have positive impacts on student achievement. The 2010 study provides separate effect sizes for setting objectives (0.31) and providing feedback (0.76). These translate to percentile gains of 12 points and 28 points, respectively. Classroom Instruction That Works by Ceri B. Dean, Elizabeth Ross Hubbell, Howard Pitler and Bj Stone. Don’t underestimate how important a learning objective is. It is everything. Well-focused and delivered objectives make all the difference between students owning their mastery and understanding versus the teacher discovering at the end of instruction, there are misconceptions. Once students hard-wire information incorrectly, it is difficult to rewire. How much better it is to front load student mastery. Your job will be so much easier and more enjoyable. Resources are provided below. All the best. © 2019 Yours In Learning, Inc and Web Templates Ltd. All Rights Reserved.